Today, the Government announced its plans to abolish Section 21 notices in the private rental sector, in an effort to create open-ended tenancies for all tenants. A consultation will be launched shortly, with Section 8 evictions also due for reform. Section 21 notices are used in a low number of cases, where the landlord has a genuine reason for needing their property back, such as selling or needing to undertake major works. Dan Wilson Craw, the Director of Generation Rent, welcomes the announcement: “It’s fantastic news for private renters, and absolutely right that the Government will abolish Section 21 no fault evictions and introduce open-ended tenancies for private renters in England. That will mean tenants who respect their tenancy agreement can stay as long as they want without being locked in. He insists: “Ending Section 21 means that private renter families and older tenants will have greater financial security, and are better able to thrive in their homes and communities. We look forward to working with the Government to get the detail of a new open-ended tenancy right. However, David Smith, the Policy Director of the Residential Landlords Association (RLA), has a different point of view: “Whilst the RLA recognises the pressure being placed on Government for change, there are serious dangers of getting such reforms wrong. The Government’s own data shows that the average tenant lives in their rental home for more than four years and, in 90% of cases, the tenant ends the tenancy, rather than the landlord. The RLA warns that, at a time when the demand for rental properties is outstripping supply, especially among vulnerable tenants, the Government risks exacerbating the problem if it does not ensure that landlords have complete confidence that they can repossess properties swiftly, for legitimate reasons. With Government statistics showing that it takes over five months from a landlord applying to the court for a property to be repossessed to actually gaining possession, the RLA argues that it is vital that a reformed and improved court system is able to establish itself and the grounds to repossess properties are improved before making changes to Section 21. This would follow the course set in Scotland. 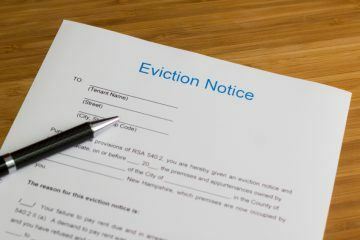 Research by Manchester Metropolitan University, on behalf of the RLA, has found that, in a large majority of cases where tenants are evicted under Section 21 notices, there is a clear reason. Half of the notices are used when tenants are in rent arrears, are committing anti-social behaviour or damage to the property. Other common reasons include the landlord needing to take back possession of a property for sale or refurbishment. 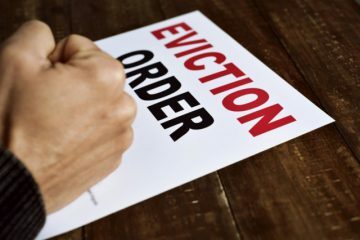 The report’s authors argue that this “raises questions” about whether the use of Section 21 notices can properly be described as no fault evictions, as some call them. The RLA will shortly be consulting with the landlord community, to establish what measures would be needed to ensure that it has confidence in the system, before efforts are made to end Section 21 notices. David Cox, the Chief Executive of ARLA Propertymark (the Association of Residential Letting Agents), has similar concerns: “Today’s news could be devastating for the private rented sector and landlords operating within it. 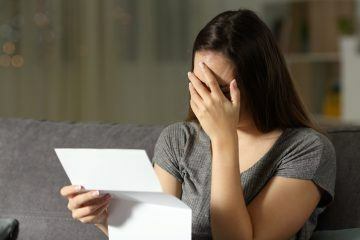 The effects of the tenant fees banhave not yet been felt, and now the Government is introducing more new legislation, which could deter landlords from operating in the market. ARLA Propertymark will be working with the Government to ensure that it fully understands the consequences of any changes and that all changes are based on evidence, so that landlords have the ability to regain their properties if needed.